Low-cost carrier Kingfisher Red will shut down in four months with the airline group chief Vijay Mallya on Wednesday saying several measures have been initiated to face financial problems caused by high interest burden and burgeoning fuel costs. "We are doing away with Kingfisher Red because we don't intend to compete in the low-cost segment. (But) all is not doom and gloom as people like to report," Mallya told reporters after the annual general meeting of the Kingfisher Airlines in Bengaluru. "We believe there are more than enough guests who prefer to travel the full-service Kingfisher Class, and that shows through in our own performance where the load factors in Kingfisher Class are more than in Kingfisher Red," he said. 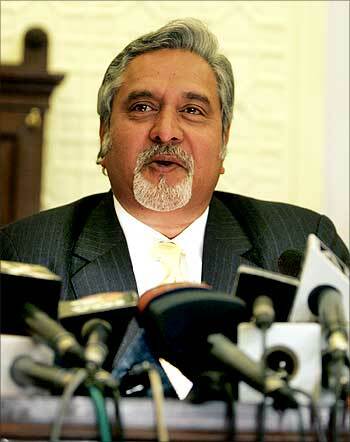 Image: UB Group chairman Vijay Mallya. Mallya had bought over the erstwhile Air Deccan, the first Indian low-cost airline founded in 2003, and rebranded it as Kingfisher Red in August 2008. Air Deccan then had a fleet of 21 aircraft, all in economy-class configuration. "Clearly the margins of Kingfisher Class are better than Kingfisher Red as the yields are better", he said, adding that reconfiguration of aircraft has already started and should be completed over the next four months. A statement from the company later said Kingfisher is undertaking cabin reconfiguration "which will add significant number of seats and, hence, generate additional revenue at minimal cost." 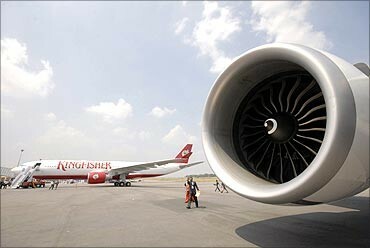 "All of Kingfisher's Airbus aircraft will have a first class with incremental seats in economy. 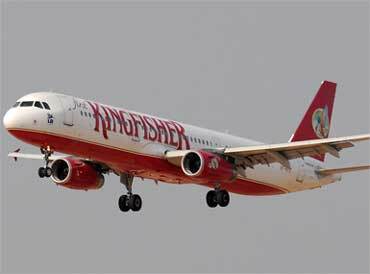 At this time Kingfisher will be dropping the Kingfisher Red class of service. This effort will be concluded in the next four months." He said the shareholders today unanimously approved the Rs 2,000 crore (Rs 20 billion) rights issue. Shareholders had previously approved GDR issue as well. But the GDR couldn't be launched due to various external factors such as high crude oil prices, Mallya said. "But there are always opportunities that show up and we are obviously examining all options available to us including the rights issue that was approved today," he said. Mallya said the aviation industry in India is suffering from high oil prices, high ad valorem sales tax, the depreciation of the rupee and this affects all airlines that are operating. If the state governments reduce their ad valorem tax and substitute it with a flat rate of tax, then it would be a huge relief to the whole industry and that would immediately show through in Kingfisher's financial performance. 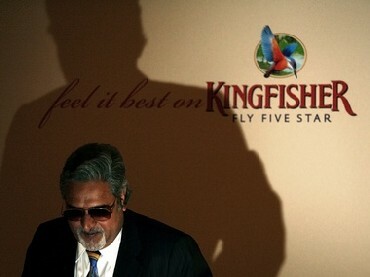 On the timing of rights issue, Mallya said: "Timing is everything. We'll obviously take all factors into consideration before we launch the rights issue. You must also appreciate the factor that the pricing of the issue will also be a determining factor in how attractive it (the rights issue) is. Sometimes in a bad environment and a lower price it becomes an attractive investment."